Royally bred filly Pinot (3f Pierro x Dizelle, by Zabeel) scored a dominant victory in the $1million Group I VRC Oaks at Flemington on Thursday to give her outstanding young sire Pierro his first Group I winner. 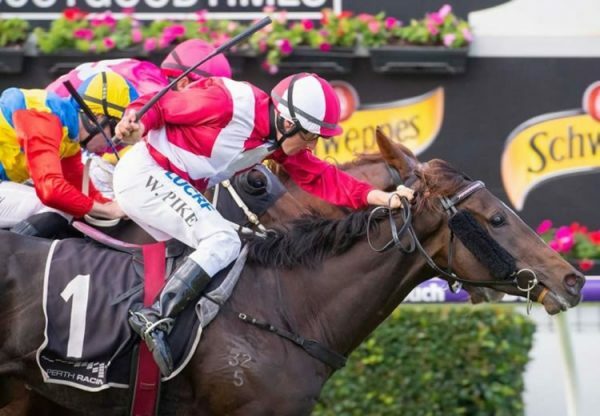 Prepared by Gai Waterhouse and Adrian Bott, Pinot has been aimed at the VRC Oaks since the start of this preparation and planning and patience paid dividends when the powerhouse filly forged clear at the finish to win the 2500 metre marathon by a length and a quarter. A touch slow from the gates, she recovered to travel smoothly for Steve Baster and ran the trip out strongly to defeat a pair of strong finishing fillies by High Chaparral in Bring Me Roses and Hiyaam to give Coolmore sires a Group I trifecta. The favourite Aloisia was reshod at the barriers and failed to fire, fading to finish sixth. Pinot provided champion trainer Gai Waterhouse with her first win in the VRC Oaks. "It is special, it really is," Waterhouse said. "She came to Melbourne a maiden. She came here with no accolades or anything ... and not looked back since then." 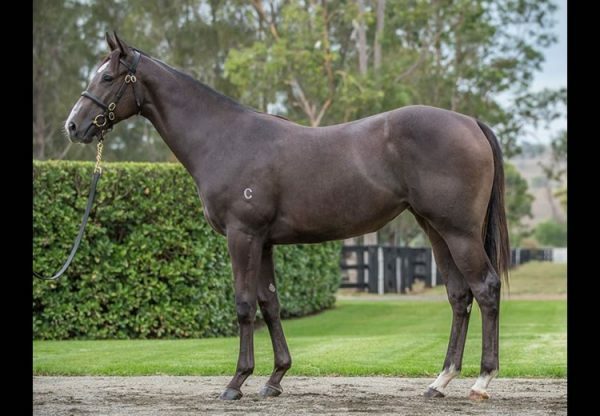 A $200,000 Inglis Easter purchase from the Coolmore draft for US syndicator Aaron Wellman’s Eclipse Thoroughbreds, Pinot runs for a partnership that also includes Newgate Farm, James Bester and Kate Waterhouse. Her overall record is now an impressive three wins and two seconds from six starts with prizemoney of $733,275. 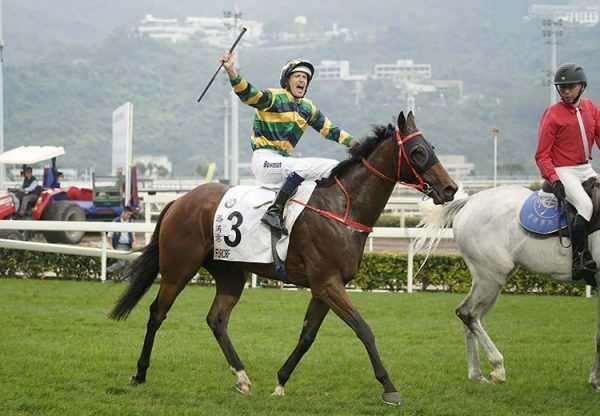 She is certainly bred to win an Oaks being a half-sister to stakes-winner Dizlago and Group II placed Lucky Lago from Group I AJC Australian Oaks winner Dizelle, a full sister to HK Horse of the Year Vengeance of Rain. Bred by Keith Biggs and foaled and raised at Coolmore, Pinot has an interesting 2 x 4 double cross of champion sire Zabeel, so the 2500 metres of the Group I VRC Oaks held hold no fears for her! Part-owner James Bester has had a long involvement with her family and was justifiably delighted. As matings consultant for Keith Biggs, Bester had a hand in the breeding of her dam and grand-dam, so when she appeared in a sale, Pinot proved irresistible. “I didn’t buy her, so I’m not claiming any credit there - that belongs to Aaron Wellman!” said Bester, going on to explain the story of his involvement. “When Pinot went through the ring as one of my highest-rating Easter fillies, I looked on longingly, as I didn’t have a client whose requirements suited an order like that. “Within a few hours I found a client who authorised me to offer Aaron a ‘profit’ on his purchase, which I did, through Gai; but Aaron was already on his way back to the USA by then. 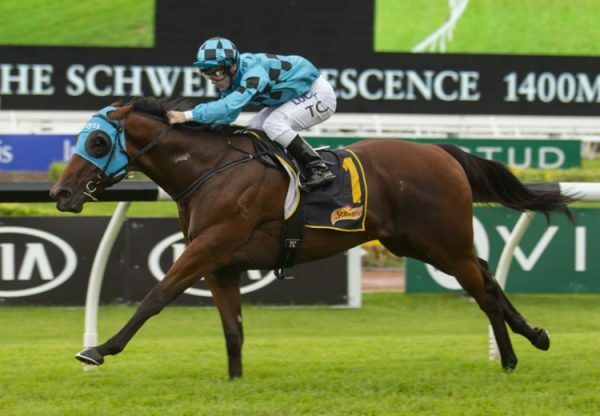 “When Gai a day later or so later got back to me to say Aaron had politely declined my offer, I congratulated her on the astute purchase and learned that there was still 20 per cent available in the filly to race in partnership with Aaron, Newgate and Kate Waterhouse. “Naturally enough, given my history with the dam, grandam and great-grandam, I snapped it up - with happy results!” Bester advised on the matings that produced Dizelle, who won an Oaks and also Danelagh, who won a Blue Diamond. “At my insistence, Keith broke a then-rule against 1st-crop sires by sending Group I winner Palatious to Danehill…with happy results - a Group I Blue Diamond, no less, with the resultant Danelagh!” Bester recalled. “And we then sent Danelagh to Zabeel, with equally happy results in the form of Group I Oaks winner Dizelle.” A good filly deserves a good name and Pinot does sound like the Oaks queen she is. “In trying to think of a suitable name for the filly, I recalled Greg Kolivos’s having told me that he named Pierro after his favourite ‘drop' - Pierro LTC,” Bester revealed. “I discovered that ‘Chardonnay’ was available as a name and feverishly tried to get that over the line but by the time we could get Aaron’s documents back from the USA the name had been taken (by Sue Olive, WA, for a Pierro half-sister to Awesome Rock). “Fortunately ‘Pinot’ was available (and probably more suitable, both alliteratively and ‘colour’-wise, for our Pierro filly). So we secured it forthwith. “And that’s how she was named… and how I am lucky enough to be involved.” Dizelle has a yearling filly by Fastnet Rock to follow. Pinot is the first Group I winner for Pierro, the Champion Australian First Season Sire and now the leading Australian Second Season Sire. The Golden Slipper winning son on of Lonhro stands at a fee of $49,500.